DELUXE ASST W/MILK LOGO 1 lb. Our Milk Chocolate Deluxe Assortment says it all. Your chocolate logo is the centerpiece and is surrounded by an impressive array of nuts, caramels, meltaways, cherries, creams and more! 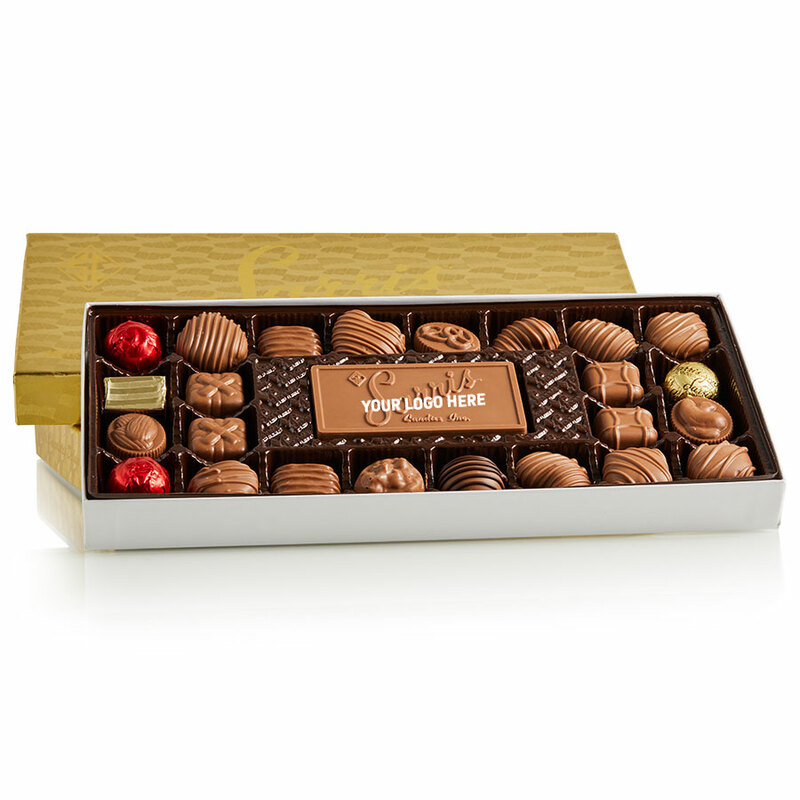 Make a statement and send an impression the right way, with Sarris Candies. A one-time $250 set-up charge applies for new logos.